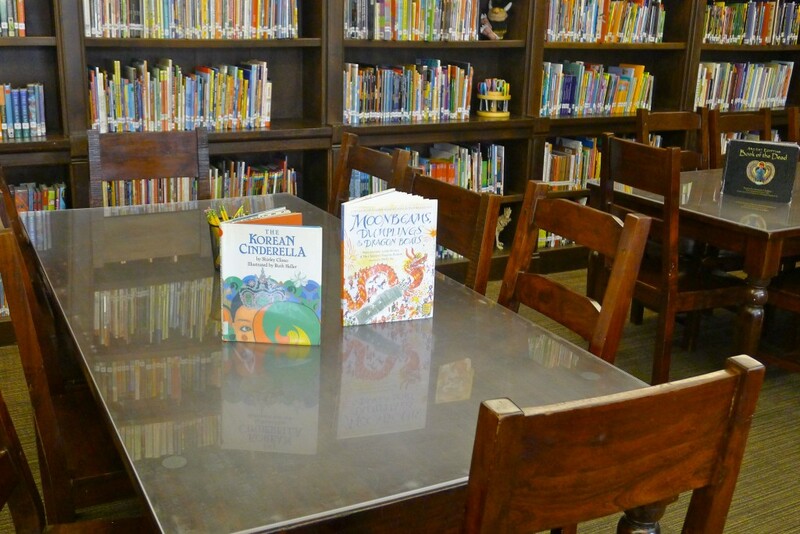 Along an understated stretch of Ventura Boulevard, sits Los Encinos, a small, progressive gem of a school in the heart of Encino. My curiosity about the school was piqued last year when I met one of its impressive graduates at Viewpoint, my kids’ school. I’ve also heard rave reviews from my friend who used to teach there. So, I asked her to introduce me to Ilene Reinfeld, the head of school at Los Encinos. Los Encinos’ unassuming urban location belies a dynamic and absolutely charming interior. 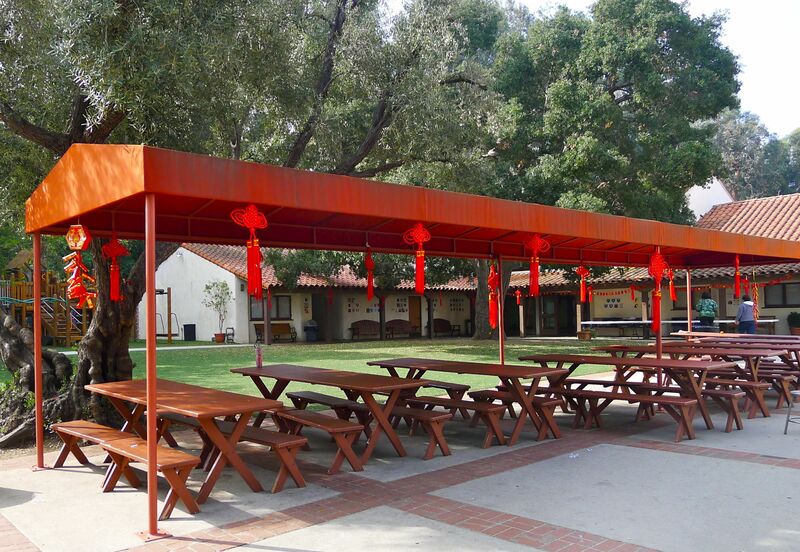 I arrived on a day when the school was celebrating the Lunar New Year and parent volunteers were getting ready for the lunchtime festivities in the brightly decorated outdoor space. There were lots of volunteers–as family involvement at the school is considered essential to creating a sense of community and ensuring parents are involved in their children’s education. Los Encinos radiates a fun sensibility. 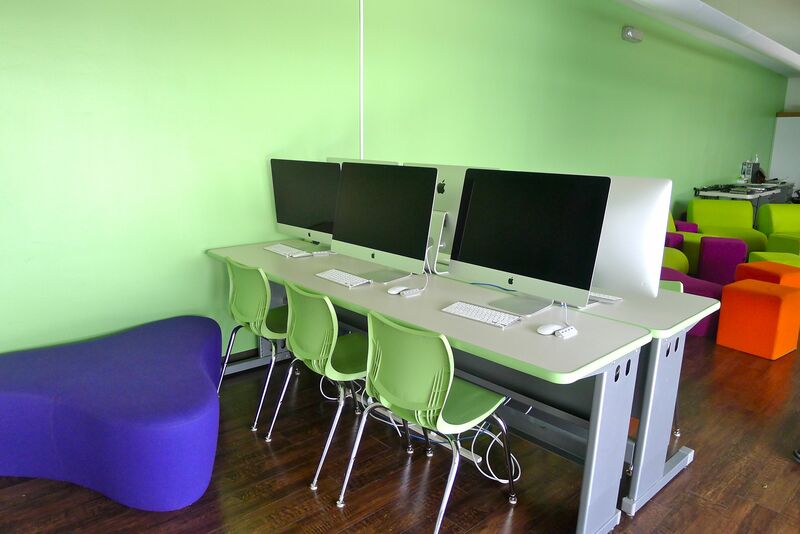 The school is vibrant and high-spirited–as if it is harnessing the energy of the kids to create a place that’s about learning, freedom of expression and community service. 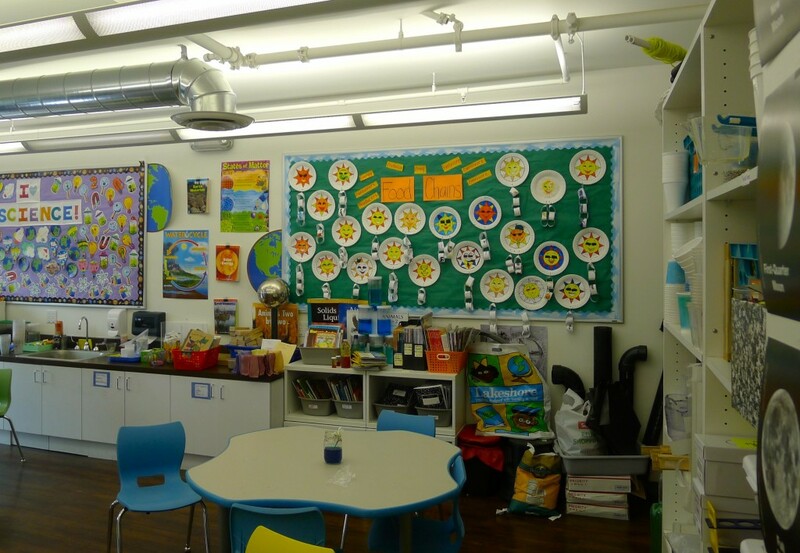 It is the embodiment of progressive education, equal parts utilitarian and inspiration. I came away with the sense that Los Encinos is freethinking and non-conformist, with just enough structure for kids to explore their fullest potential in each subject. Ilene greeted me in her office and we quickly set out for a tour of the school. Ilene talked as she walked, surveying the environment, peeking into classrooms and proudly showing me the newest building. She’s a tour-de-force at the school, overseeing the big picture vision and involved in day-to-day management of curriculum and teaching. Ilene has the tools and insight to make big things happen. When the school needed new classrooms, science labs, offices and a library, she pushed donors to raise $1.5 million with the promise the new building renovation would be completed over the summer (an ambitious schedule!). Donors answered her call. They raised the money and she, along with help from the board, parents and her staff, delivered the project on time and on budget. This followed a 2009 renovation with a similar budget. 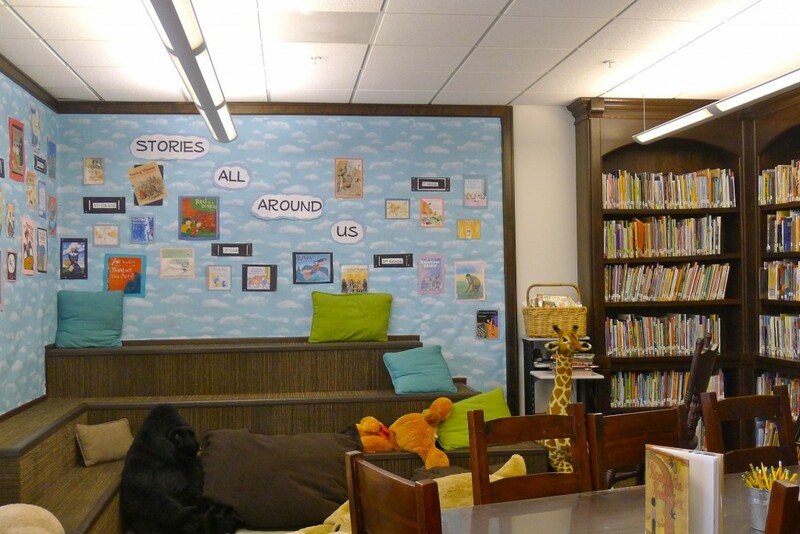 The stunning new library, with its cozy, inviting sitting area, practically begs for a good book and a cup of hot cocoa. It is absolutely gorgeous. 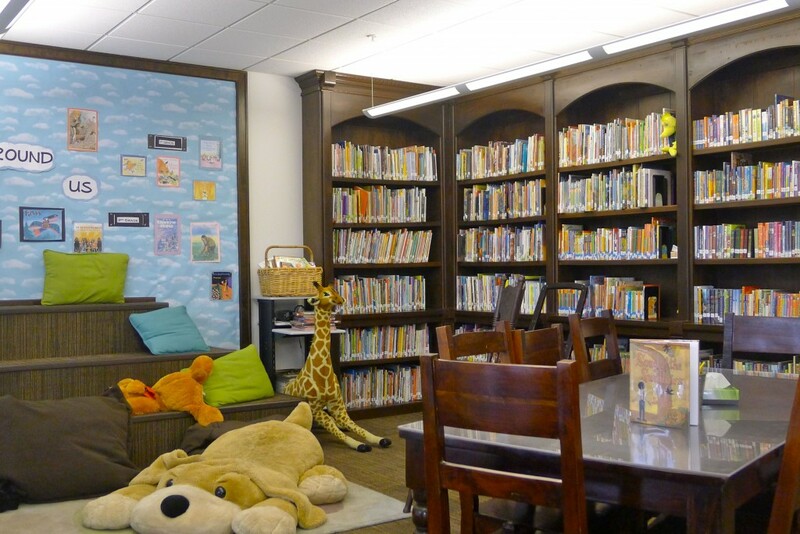 The librarian told me she feels lucky to work in such a magical place. It is this kind of tenacity that helped Ilene win a coveted fellowship to the Klingenstein Center for a two-week intensive study for the Heads of Schools Program at Columbia University. Ilene’s commitment to a diverse faculty, including male teachers, is something she says is important to a school that reflects the diversity of our world. Hiring the best teachers, even if it means relocating them from the East Coast, is just part of her day. 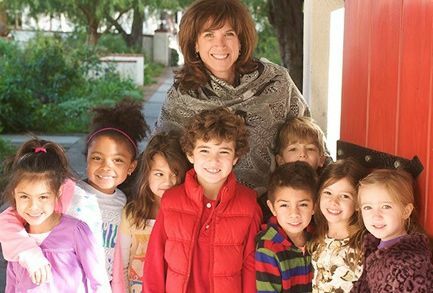 In just 10 years, under the leadership of this smart mom of two, the school has flourished by leaps and bounds. Her dedication to the school is undeniable. Running Los Encinos isn’t just a job for Ilene, but a passion. She oversees it with the attentiveness of someone who has a lot at stake because she does: the education of 168 kids. Along with change, the school has withstood the test of time, staying true to the original vision set forth in 1980 by its founder, a former Oakwood School administrator. The school has remained purposefully small, a hallmark of its founding principles. Ilene has successfully built upon the school’s mission, which is based on the social and academic benefits of a learning environment within a close-knit community. There is a deep respect for collaboration, compassion and sharing; all progressive educational tenets. While Ilene has definitely reimagined parts of the school in her own vision, she has always stayed true to its roots. 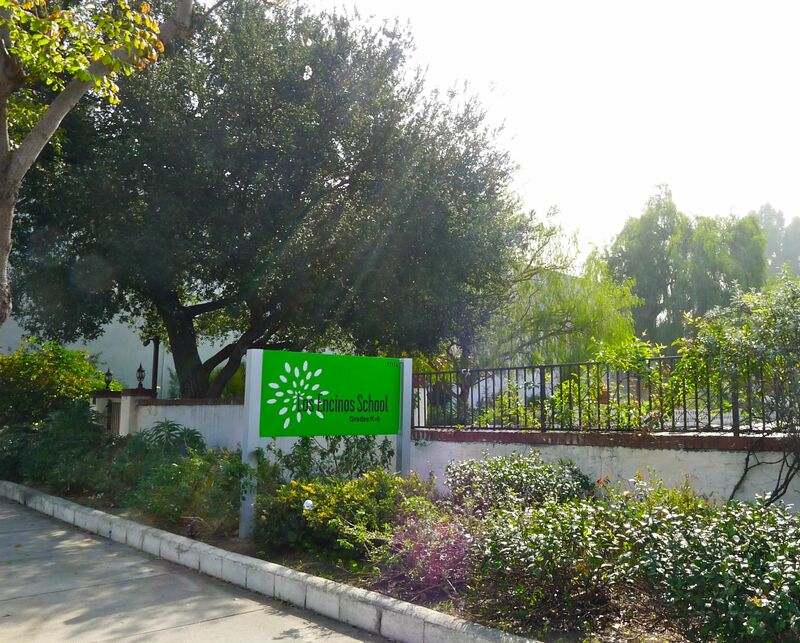 If you’re looking for a small, progressive school, Los Encinos checks off all the requirements. The curriculum is challenging and encouraging, not always an easy balance to achieve. Seeing the kids in big, sunlight-filled classrooms, it was evident they were fully immersed in activities or absorbing the teacher’s lesson. An important tenet of the school is an emphasis on collaboration, not competition. As we stopped in a science class, one student’s boundless enthusiasm greeted us, “Look, we are making the most awesome project!” she exclaimed. Her lab partner nodded in agreement as he continued working, completely engrossed in the lab. Los Encinos has one class per grade, K-6. 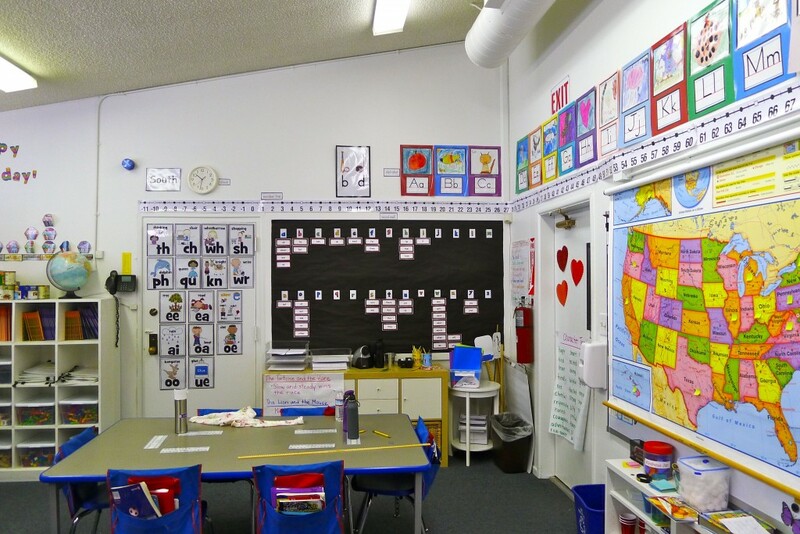 There are 26 kids in each class, with two teachers. 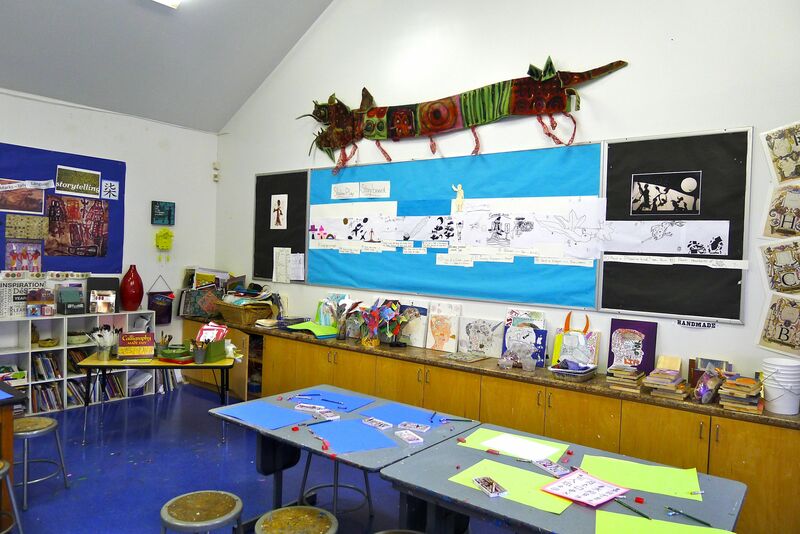 When half of the class is in art or science, for example, the other half remains in the class, making individual teaching and small group learning possible. 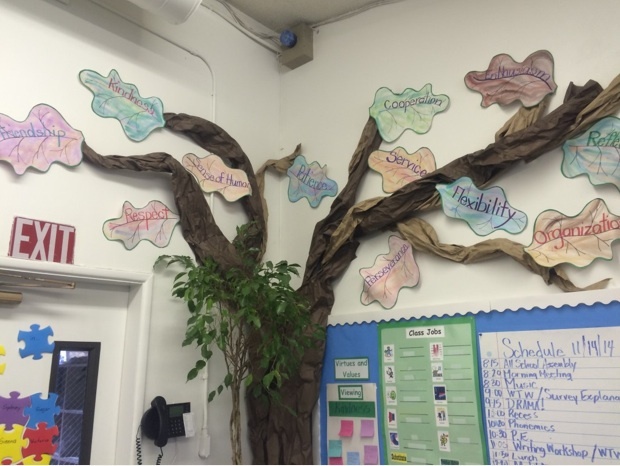 In each classroom, there are 16 words called values and virtues, reflecting the school’s core character. Creativity, Friendship, Effort, Responsibility, Patience, Initiative, Integrity and more. These words to live by are taught in grades K-3 and reinforced in grades 4-6. They are referred to frequently, as they remind students what the school is all about. Ilene’s focus is on overseeing a school that can provide each student with a high degree of individualized instruction. She knows every kid, their needs and their specific interests. She hires teachers who are dynamic, diverse in both ethnicity and gender, skilled and energetic. Every teacher can offer each student one-on-one time to discuss a project, answer questions, refine ideas and encourage exploration. Learning doesn’t happen in isolation so the integrated curriculum, another progressive concept, plays a big role in how subjects are taught. For example, when kids are learning about the ocean in science, they might also be reading about it in another class and taking a field trip to study the ocean, while completing community service in the same study area. When fables are taught in 1st grade, there is a connection to other subject areas. 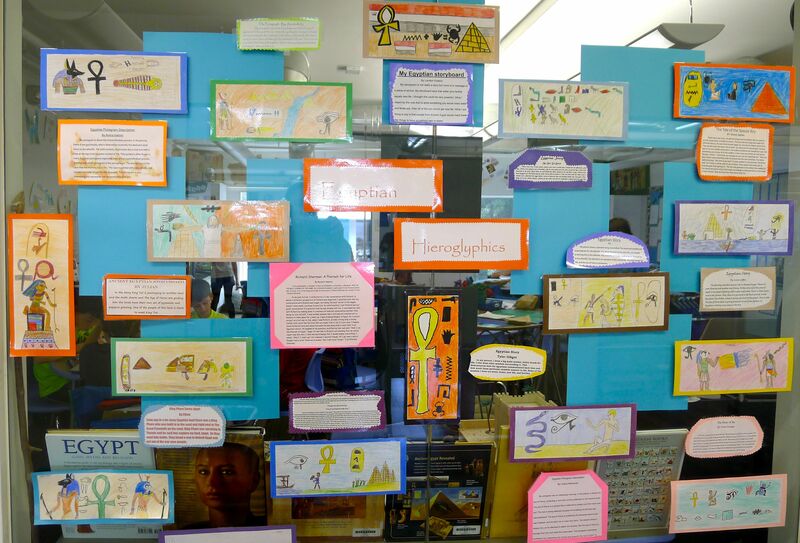 Nothing is taught in isolation of other study areas, so students make connections between various subjects and ideas. 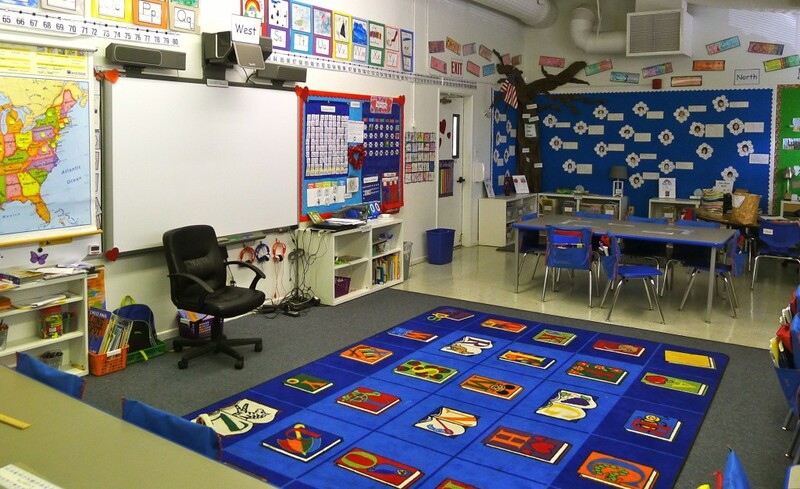 To expand upon the core educational philosophy, Ilene explains that not every young kid learns best by sitting still in a chair or walking in a perfectly straight line. That’s okay at Los Encinos. 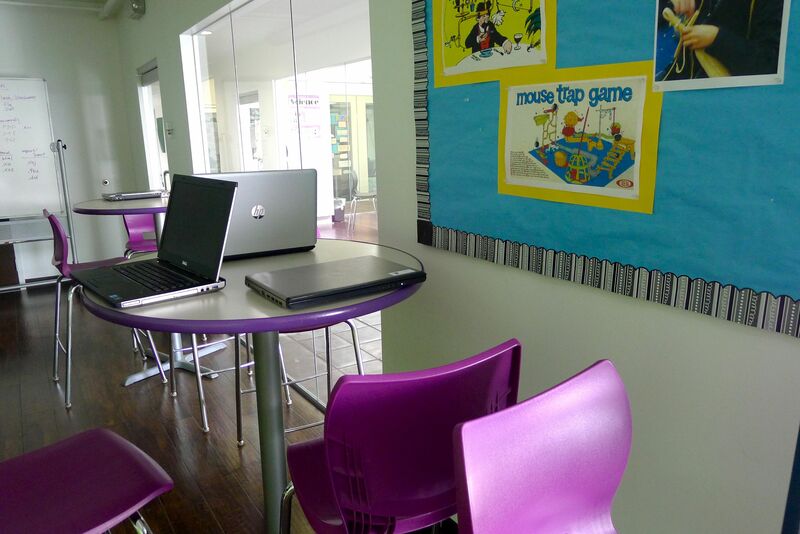 All rules should have a purpose and Los Encinos is a relaxed learning environment. Students are trusted to walk to class in formations other than a straight line. Kids learn the power of both leading and following, with the confidence to know when to do both. 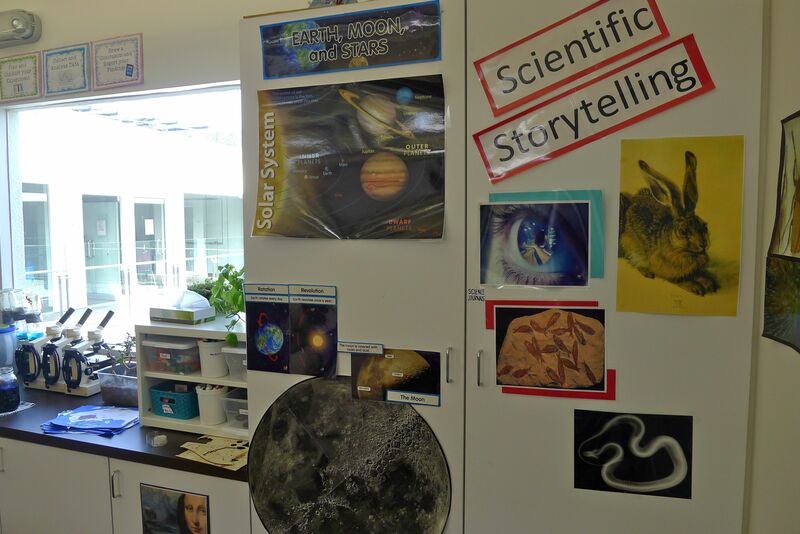 Art, music, drama, technology & media, P.E., science and library are part of the curriculum taught by specialists. Frequent field trips and guest speakers round out the areas of study. In 4th grade, there are intramural sports. The school plays at Tarzana Park. Every kid gets a chance to play. There is computer lab and 1:1 laptop beginning in 4th grade. Students participate in yearlong, grade-specific volunteer service programs to help develop a meaningful connection with the larger community. I asked Ilene what is most important to her when looking at prospective students and their families. Her reply? Parents who understand what we do and feel strongly that it is the right place for their kid. The school offers 14 percent of its annual budget for financial aid. There is ethnic and socioeconomic diversity. There are kids of famous people alongside the kids of regular families. Ilene also personally oversees placement to middle school. 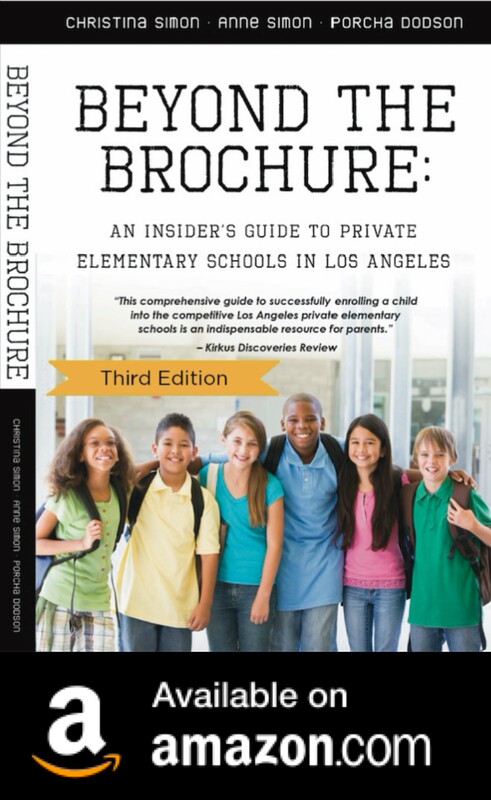 As a result, the kids from Los Encinos go on to top middle schools like Campbell Hall, Marlborough, Harvard-Westlake, Oakwood, Windward and Viewpoint, to name a few. Los Encinos’ understanding of how important it is to for students to be able to take risks as they learn is a huge, important concept they will carry with them throughout their lives. Combined with a dedication to community service and a class size where individualized instruction happens, these attributes make the school a small but powerful place to learn. I can imagine a Los Encinos student saying to another, “Come sit with us.” This is the kind of stuff that can be life changing. My granddaughter is in kindergarten at Los Encinos and loves it. She has a high level of energy and needs an environment that is highly engaging. Her parents and I are all thrilled. Thank you for this. I will definitely check it out…right down the street from us! I’m a mom of the 3rd grade boy at the school, and we just love it. This article summed it up beautifully. My kid is always excited to go to school, and I’m always excited to go and help at school, because it’s such a joyful and welcoming environment. I am thrilled to be part of the Los Encinos community. I have two daughters at LES who have been there since Kindergarten and are now in 2nd and 4th grades. 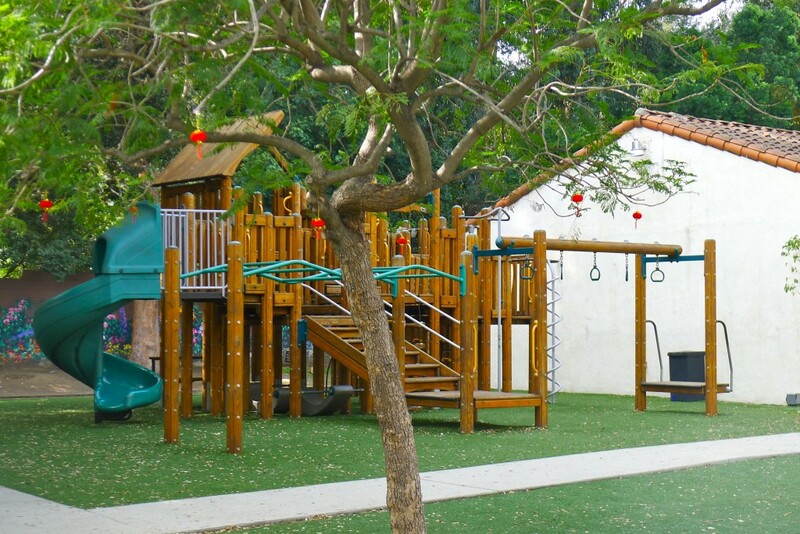 Los Encinos is a close-knit community where everyone knows each other; where cooperation and friendship span all grades, and where students feel both safe and excited to take risks and try new things. My daughters are so enthusiastic to wake up, go to Los Encinos and come back and tell me about what they’ve learned, what they’ve created and about the relationships they’ve made. It’s a joy to watch them flourish in this supportive community.